Every Delphi Diamonds jewellery piece is carefully handcrafted by our Master Jewellers assuring the highest quality workmanship and finish. 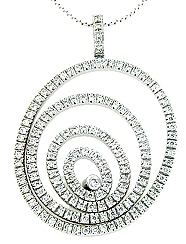 All diamond jewellery purchased from us include a free lifetime service of cleaning and checking. Delphi Diamonds workmanship is guaranteed for life. Unsurpassed customer service and craftmanship.... at the most competitive prices in Australia. 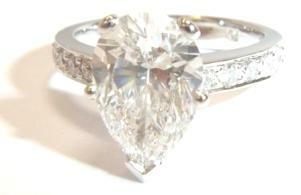 Solitaire Rings - The classic Solitaire is our most popular choice for engagement rings. Rings with Side-stones - Side diamonds add additional sparkle. Three-stone Rings - One diamond for the past, one for the present and one for the future. Delphi creates exceptional styles of wedding rings, matching wedding rings, plain wedding rings and diamond wedding bands. Make her day with a gift of beautiful diamond stud earrings. Delphi Diamonds create a full selection of shapes and sizes in claw and bezel settings. Surprise her with a beautiful diamond pendant or bracelet. Individually designed and created to order or view our stunning portfolio selection. Platinum jewellery is the most pure metal and is more expensive, it is composed of 90-95% pure platinum and is more rare than gold. 18k gold is the most popular engagement ring setting, it is less expensive and is composed of 75% gold and 25% metal alloys to give it strength. All Precious jewellery purchased from Delphi Diamonds is presented in a Mahogany Timber Jewel Box, with champagne interior. 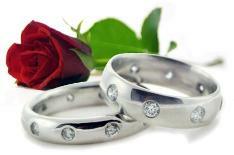 Discovering what kind of ring she likes can be a challenge if you want to keep your proposal a secret. We'll give you some methods for discovering her ring size as well as her taste in engagement rings. 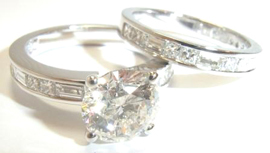 "It was an absolute pleasure dealing with Delphi Diamonds. It made the experience of creating a unique engagement ring enjoyable and exciting." Matt O'Donnell Sydney, Australia.